Documentary highlights harms of "Conversion Therapy"
Today, on National Coming Out Day, Center for Inquiry Michigan and the Grand Rapids Pride Center are hosting a one-day premiere screening and panel discussion of the documentary film THE SUNDAY SESSIONS to raise awareness about the harms of “Conversion Therapy.” The event will be held tonight, October 11th, at 7:00pm at the Women’s City Club, 254 E. Fulton Street in Grand Rapids. 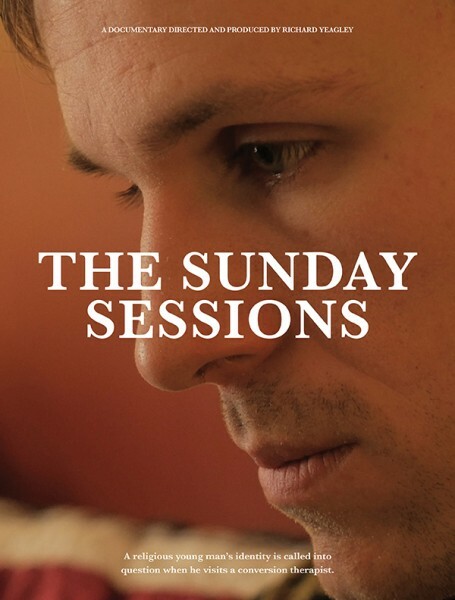 THE SUNDAY SESSIONS is an intimate portrait of one man’s struggle to reconcile his religious conviction and sexuality. The observational documentary chronicles the turbulent journey of a devout gay man as he attends conversion therapy in hopes of changing his sexual orientation. Following the screening there will be a panel discussion focusing on the issues surrounding conversion therapy. Panelists include Larry DeShane Jr., Center Administrator at the Grand Rapids Pride Center, Matthew Clark, PsyD., Clinical Psychologist at the The Clark Institute and the Gay Christian Therapy Center, and Jennifer Beahan, Program Director at Center for Inquiry Michigan. This event is part of a larger national campaign where select organizations from over 20 cities across the United States have also scheduled screenings of the documentary, in recognition of National Coming Out Day, in order to generate awareness, foster dialogue, and encourage action within each community. Conversion therapy is the controversial, non-scientifically based process which aims to convert an individual’s sexual orientation from homosexual to heterosexual. Although it has been discredited by all major American medical, psychiatric, psychological and professional counseling organizations, it is currently legal in all 50 states for consenting adults; and as of July of 2017, less than 10 US states have banned the therapy from being practiced on minors. There has been a recent groundswell of support to reconsider the legality of this “therapy.” Many state and local legislatures, as well as the federal government, are considering legislation to ban the therapy from being applied to minors. Additionally, in the past few years, several LGBTQ advocacy groups have been filing consumer fraud claims against therapists that offer conversion therapy services. Director Richard Yeagly describes the film as “an unflinching look at the underbelly of the controversial practice of conversion therapy” and he noted that this is the first time a film crew was allowed ongoing and unencumbered access to shoot these secretive and controversial therapy sessions. “I knew from the outset that I didn’t want to make a film that relied on talking head interviews and an authoritative voice-over narration; I wanted to tell a personal story of an individual’s journey through this therapy, so access was going to be the most important element to producing this story” Richard said. “In order to garner such access, I knew I had to strip myself, as best I could, of bias and approach the film as objectively and curiously as possible.” The result is a film that is a psychological drama that offers a detailed glimpse into the surreptitious world of private sessions, weekend camps, and family therapy sessions. 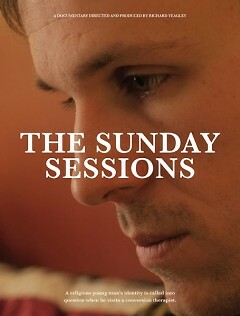 Visit thesundaysessionsmovie.com to see the trailer for the film and read more about the project.